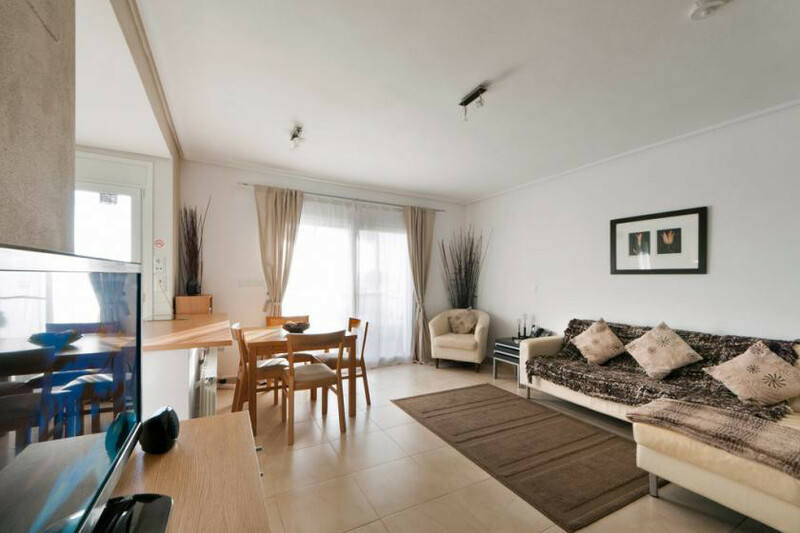 We have a two-bedroom, two-bathroom and fully air-conditioned townhouse overlooking the golf course at La Torre Golf Resort, in the Province of Murcia on the Costa Calida in southeastern Spain. 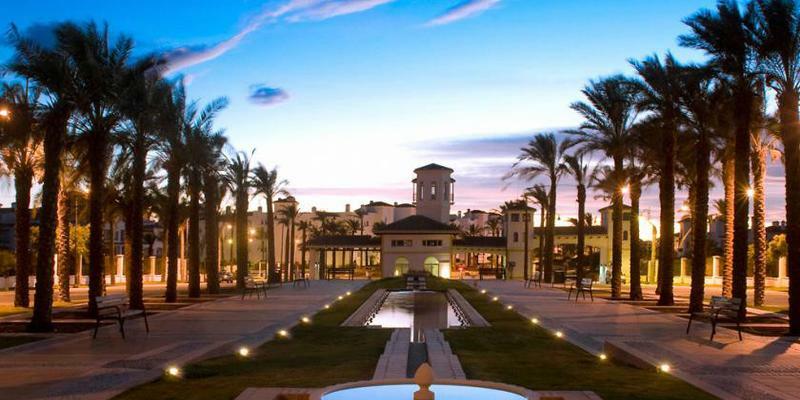 It just a 20-minute drive from San Javier (Murcia) Airport and around 25 minutes to the beautiful, cosmopolitan city of Murcia as well as Spain’s premier naval port of Cartagena, with its Roman ruins and amphitheatre. We’re also a short drive to a number of beaches. Murcia is still unspoilt and very Spanish. You won’t find many English pubs, McDonald’s or fish and chip shops and I’ve yet to find anywhere serving a Full English Breakfast – not that I’ve been looking, of course! 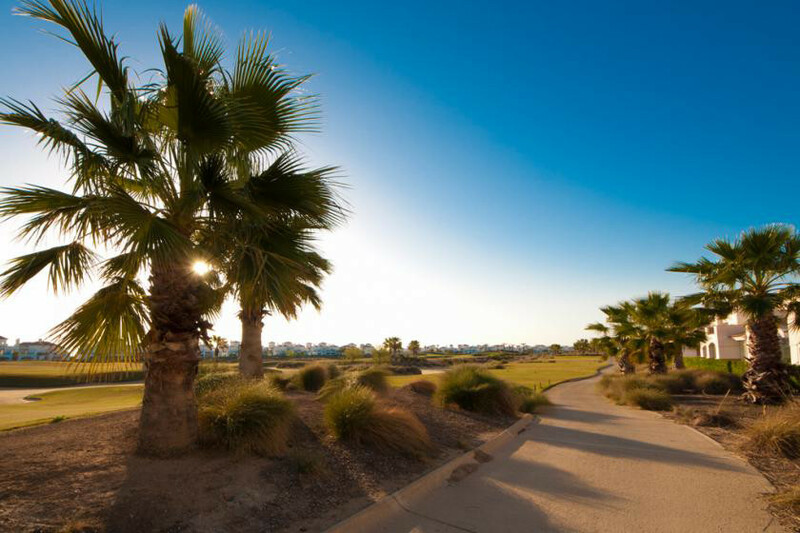 Our base at La Torre Golf Resort is within a short drive of so many wonderful towns and beaches, such as Los Alcázares, Santiago de la Ribera or San Pedro del Pinatar. Our idea of heaven is taking a leisurely stroll along one of the wide palm tree-lined promenades and stopping for a coffee or a bite to eat at one of the sea-front bars or restaurants. Our property is suitable for couples, families and of course – being located on a golf resort - golfers! Outside of the peak months of July and August, the resort tends to be quiet, so it’s definitely not for party animals – but that’s what attracts people. The property itself is located in a quiet part of the resort (a 15-minute walk to the resort bars and restaurants), so is especially suitable for those looking for a relaxing holiday. I would say that a car is essential, in order to make the most of the local area. Although, we did have a couple stay this summer who just used taxis and still had a great time. One week before the arrival of our guests, I send an email to check if they have all the information they need from me – for example, directions, address and the telephone number for our Property Manager. Bernie, our Property Manager, makes sure our house is fully cleaned and ready for our guests. He’ll either meet them and show them round or, if they’re on a late flight, leave the outside lights on and put the keys in the key safe, then he will speak to them next day to check if they need any help or advice. For bookings of 7 days or more, we supply a free welcome pack of food and drinks. I also check if our guests have any special requirements – extra pillows, beach towels and so on. We leave them a sat nav, with pre-installed favourites such as beaches, restaurants, bars, town – even the local hospital, doctors and pharmacists, in case of emergency. Finally, give us a recommendation for either your favourite local haunt! Our favourite restaurant is a place called Rebate. Hidden away in the Murcian hills, it is well worth the 35 minute drive from La Torre. Try the Menú del Día. The beautifully-presented selection of seven taster starters is followed by a choice of three main courses and a trio of desserts. Food is served in the courtyard with its relaxing views of the mountains as well as lemon and orange trees – a perfect way to spend an afternoon. Great setting, fantastic food and service, all at a very reasonable price. Booking is recommended. Go on a Wednesday and you’ll enjoy flamenco dancing as well!